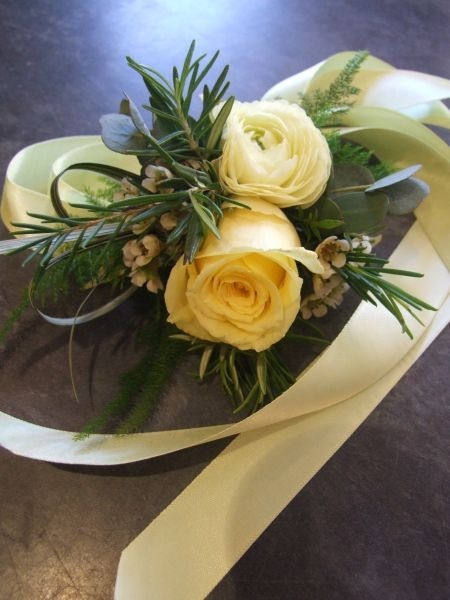 Sweet lemons and scented foliage A sweet, petite wrist corsage of lemony flowers and scented foliages arranged on pale lemon ribbon. 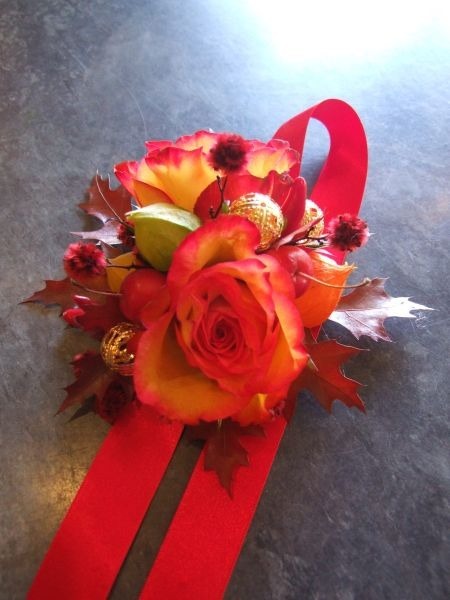 Seasonal flowers may vary from those shown. 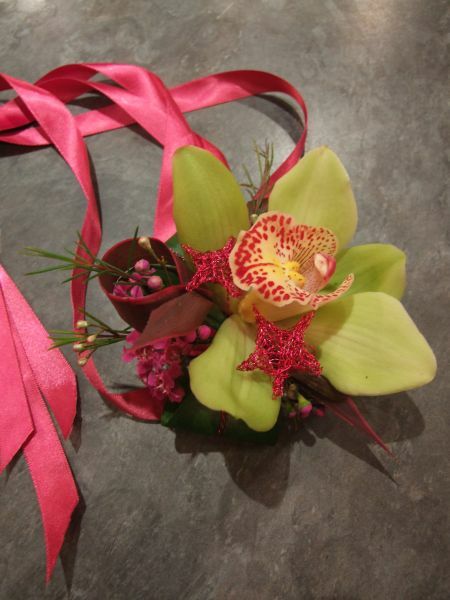 Floral Haven deliver fresh corsages and buttonholes all over Glasgow. 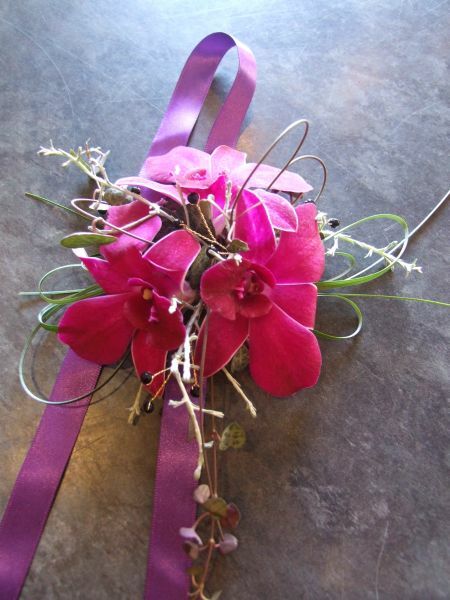 Pink orchids on purple ribbon Ripe, raspberry-hued orchids arranged with wild foliages on rich purple ribbon, ready to tie on your wrist to complete your formal outfit. 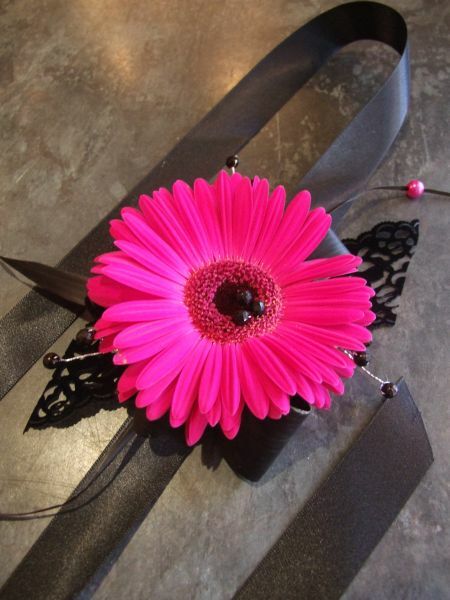 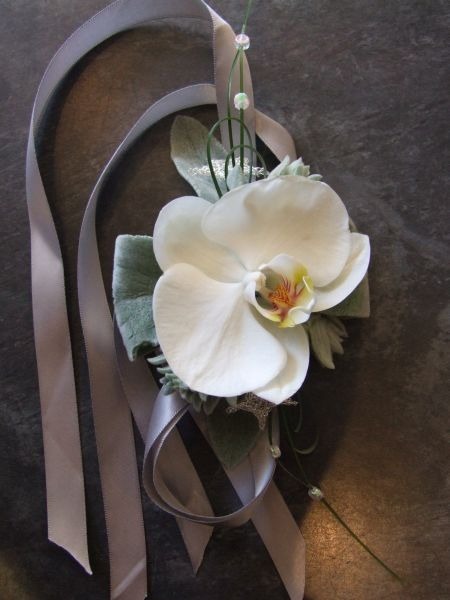 Floral Haven deliver fresh corsages and buttonholes for proms, balls and weddings throughout Glasgow.